Join UPRISE MUSIC TV and celebrate 5 fantastic years of the best of urban gospel music! Hosted by SIMPLY ANDY and with music from DJ Danny Yega, the night will be a high-energy party with guest appearances from an array of familiar faces in the UK gospel scene, and top performances from your favourite gospel music stars. Enjoy exclusive performances from famous names such as DWAYNE TRYUMF, COMMISSION, RACHEL KERR, LYRICAL SOLDIER, DEBORAH, VICTIZZLE, JAY ESS, US gospel icon Da’T.R.U.T.H and Norwegian EDM group JESUS LOVES ELECTRO! 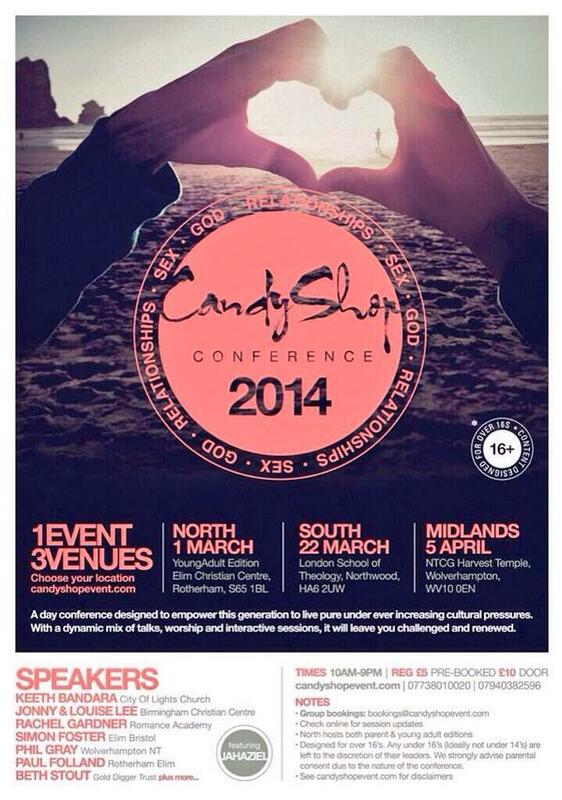 A day conference designed to empower this generation to live pure under ever increasing cultural pressures. With a dynamic mix of talks, worship and interactive sessions, it will leave you challenged and renewed. Speakers include Beth Stout, CEO of Golddigger Trust, Rachel Gardner, co-founder and director of Romance Academy and MOBO winning artist, Jahaziel who is considered one of the most talented and innovative Hip Hop artists in the UK and internationally. Witness the launch of Divine Impact’s EP. Divine Impact is a body of believers passionate about drawing people to the heart of worship and lifting up the name of Jesus Christ. Their vision is to see more and more people draw closer to God through the power of the Holy Spirit. They’ve had the privilege of ministering at various events across the country, and have even opened up for the likes of Ron Kenoly! 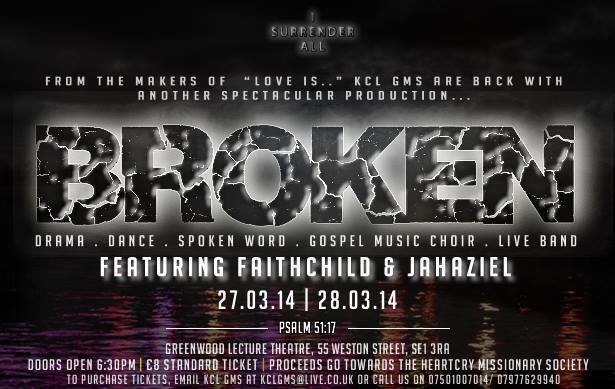 Join KCLGMS on the 27th and 28th March as they follow one man on his journey to brokenness in their annual production. ‘Broken’ promises to be a show to remember. Featuring drama, thought-provoking poetry, dance, live band, KCLGMS’ very own Gospel Choir and this year’s special guests Jahaziel, Faithchild, and more surprising acts. “Forgiving others sets you free” ‘Forgive & Forget?’ the open discussion and debate is taking place at Trinity Baptist Church. Join TBC Young Professionals for an intense but interesting session with Deacon Alex Twumasi. 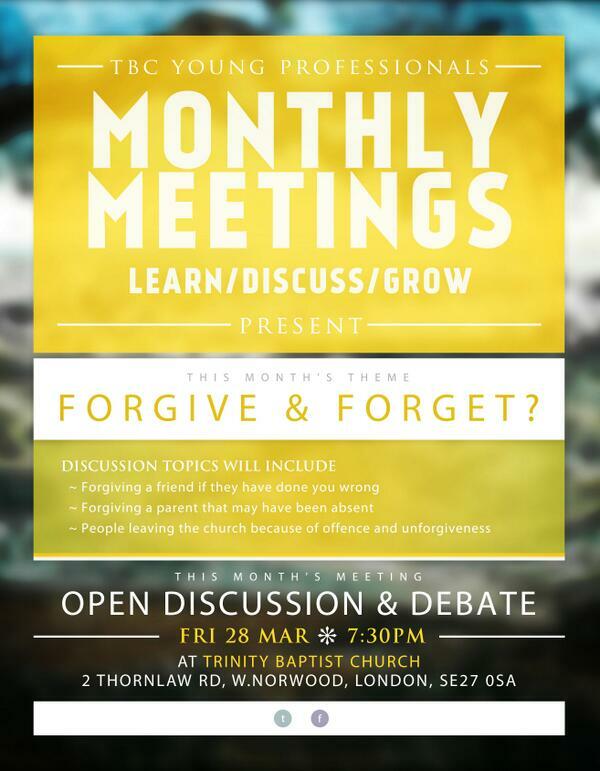 Questions on the night include: Could you forgive an absent parent? Is it right or wrong for someone who has been offended by the church to then leave the church? And much more… Come and learn, discuss and grow. Fancy a night of straight-forward worshipping Jesus with other people who are passionate and on fire about him? Want to press in and get deeper with God? Want to be stirred up to have more impact and bring about change?? 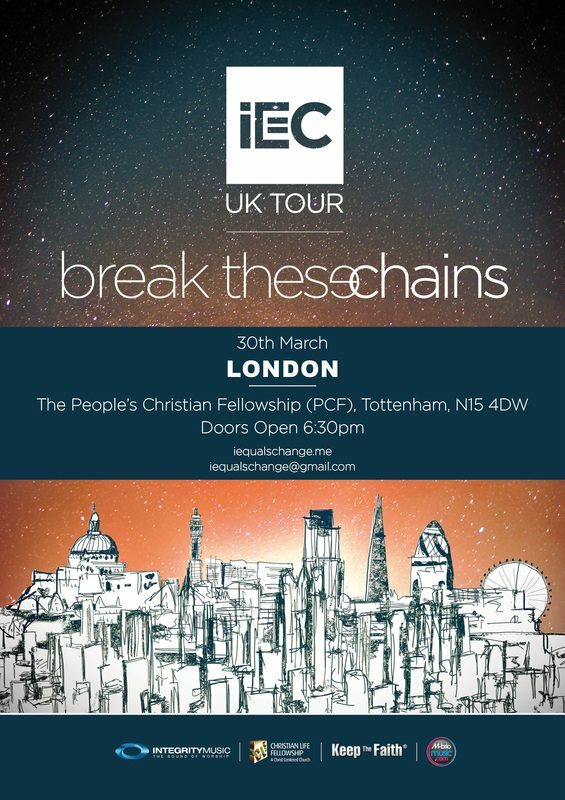 ?Then see you at the London location of the iEC band UK tour! iEC is a band & movement developed to inspire and empower young Christians to be about the business of change in their local communities and nation. 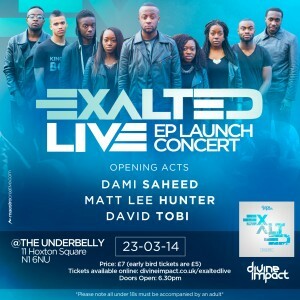 It is made up of a collective of worship leaders and musicians from fantastic churches around London, UK. Premier Christian Media is proud to present Unsigned Live with Loretta Andrews! Come and join them at The Bedford pub in Balham every other month for an evening of live music from up-and-coming Christian artists.